This article will guide novice users to solve this specific Wifi issue on Debian based distros like, Ubuntu, kali, etc. We will be going through step by step process to download and install those firmware on your Debian based box. These firmware are not included in the Linux kernel by default but can be downloaded from the Debian website and installed manually. 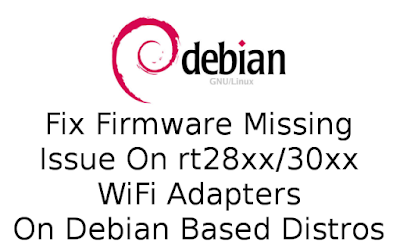 If you want to check out which firmware are in the package you can go to this Debian webpage. After installing this package you should be able to fix many firmware missing issues including your wifi adapter. Now follow the below article to properly install the non-free-firmware package. Tip: Remember that everything you type on your Linux Terminal is case-sensitive. Download the package form the link below. Now you should see your file on your desktop. Lets install the package now. Open terminal and do as below. Of course change the 'user' with your username, and i am assuming that the downloaded package is on your desktop. If you can't use 'sudo' for some reason, login to root account and install the package form there Or use the following command to open root terminal on your current user session. First Type 'su' on your terminal without the quote and hit enter. After that enter your root password (it will be invisible when you type) and you will get the root terminal. Now again try to install the package using 'dpkg'. 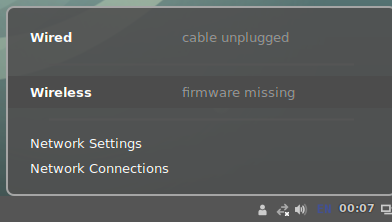 After that the missing firmware should be installed and you will be able to use your wifi adapter again. Hopefully this will help a lot of our readers, if you face any issue, comment below.